Here is the 2010 Ford Fusion & Fusion Hybrid Brochure. If you would like any other Ford Vehicle Brochure you can download them here. The state of Michigan and local governments provided tax incentives and grants that enabled the investment in Michigan Assembly, which will be designated as the state’s first automotive technology anchor site. WAYNE, Mich., May 6, 2009 – Ford Motor Company said today it is investing $550 million to transform its Michigan Assembly Plant into a lean, green and flexible manufacturing complex that will build Ford’s next-generation Focus global small car along with a new battery-electric version of the Focus for the North American market. The plant, formerly the production site for Ford Expedition and Lincoln Navigators SUVs, is one of three North American light truck plants Ford is retooling to build fuel-efficient global small cars in the coming years. The new Focus will begin rolling off the line next year and the battery-electric version of the Focus – Ford’s first all-electric passenger car – debuts in 2011. As part of the retooling, Ford will consolidate its operations from Wayne Assembly Plant. When production launches in 2010, approximately 3,200 employees will be building the new Focus at Michigan Assembly Plant. At the plant, Ford and United Auto Workers are developing modern new operating practices to ensure high quality and even greater efficiency. The reinvention of Michigan Assembly, once one of the world’s most profitable auto plants during the SUV boom of the late 1990s, is rooted in the fundamental strategic shift by Ford to leverage its global assets to bring six world-class small cars to the American market by the end of 2012. To produce the vehicles, Ford is converting three truck and SUV plants to car plants – Michigan Assembly, Cuautitlan Assembly in Mexico, which begins building the new Fiesta subcompact early next year; and Louisville (Ky.) Assembly, which will be converted to produce small vehicles from Ford’s global Focus platform beginning in 2011. The new Focus is being developed in Europe – where Ford is a leader in small cars – off a new global C-car platform. Over time, the new platform will be the basis for more than 2 million units annually around the world, including Focus and other derivatives, allowing Ford to leverage economies of scale to improve investment efficiency. The zero-emission Focus battery-electric vehicle, which is being developed in partnership with Magna International, features a high-voltage electric motor powered by a high capacity Lithium Ion battery pack and charged by plugging in to a 110-volt or 220-volt outlet. The vehicle is one part of a larger strategy Ford announced in January to develop electric vehicles for North America quickly and affordably by leveraging its global platform capability. In addition to the Focus battery electric vehicle, Ford is collaborating with Smith Electric to sell a Transit Connect battery electric commercial vehicle for North America in 2010. 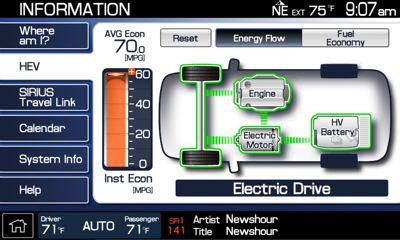 Ford’s product plans also include a next-generation hybrid vehicle in 2012 and a plug-in hybrid vehicle in 2012. The $550 million investment in Michigan Assembly includes more than $430 million in manufacturing investment at the site, as well as $120 million for launch and engineering costs. In addition, Ford will be making significant investment in supplier tooling to support the plant. Michigan Assembly Plant will be designated as the state’s first automotive technology anchor site. This designation will support Ford’s efforts by providing additional tax incentives to locate advanced technology suppliers in Michigan, related to future automotive technology applications. At the heart of the plant’s manufacturing transformation is a flexible body shop operation, which uses reprogrammable tooling in the body shop, standardized equipment in the paint shop and a common-build sequence in final assembly, enabling production of multiple models in the same plant. Aiding in the implementation of flexible manufacturing is Ford’s industry-leading virtual manufacturing technology. In the virtual world, engineers and plant operators evaluate tooling and product interfaces before costly installations are made on the plant floor. This method of collaboration improves launch quality and enables speed of execution. In a flexible body shop, at least 80 percent of the robotic equipment can be programmed to weld various sized vehicles. This “non-product specific” equipment gives the body shop its flexibility and provides more efficient use of the facility. The plant also will employ an efficient, synchronous material flow, where the material will move in kits to each operator, providing employees with the tools they need in the sequence they will need them. The plant features an integrated stamping facility, which allows the stamping and welding of all large sheet-metal parts on-site, ensuring maximum quality and minimum overhead. Along with the physical transformation at Michigan Assembly Plant, the UAW and Ford are working on a framework of new and class-leading operating practices that will enable the plant to operate at a high level of productivity while producing best-in-class quality products in a safe work environment. As part of this framework, Ford and the UAW are committed to establishing a strong, progressive culture at Michigan Assembly Plant that is based on teamwork, joint problem solving and continuous improvement. 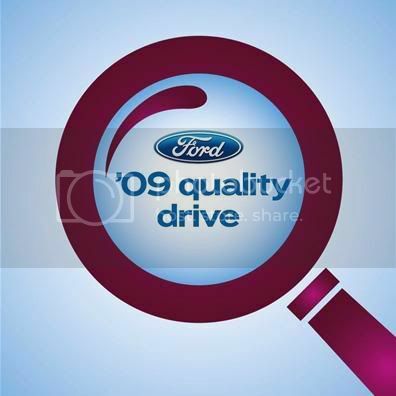 Go to fordcares.com to download your certificate or click here. 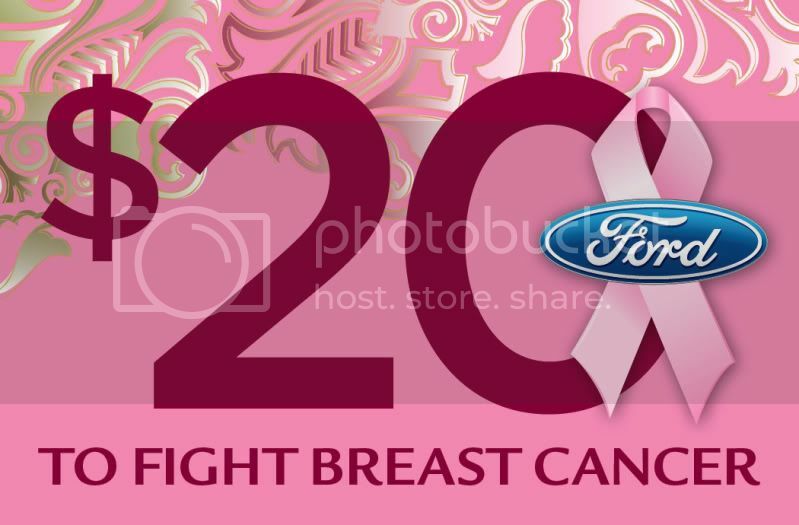 On behalf of Roy O'Brien Ford, when you test drive a new Ford vehicle, Roy O'Brien Ford will match the $20 Ford is donating to the Susan G. Komen for the Cure, up to $1,000. Stop in today and drive one! I didn't think Ford could build a midsize sedan this good. The 2010 Fusion midsize sedan jumps to the head of its class for fuel economy, features, value, looks and comfort. At the point in a vehicle's lifecycle where most automakers tweak the grille and lights -- mid-cycle freshening is the industry term -- Ford rethought and reworked every part of the Fusion your eyes, hands and the seat of your pants interacts with. The result is the first Ford midsize sedan since the original 1986 Taurus that you must test before you buy any of its competitors. Otherwise, you'll never know what you're missing. The original Fusion went on sale just three years ago. The 2010 model keeps that model's platform -- the floor pan and basic structure -- but otherwise is virtually all new. A distinctive new exterior, a vastly improved interior, new engines and transmissions. A raft of features you can't get on any other midsize sedan. Prices for the 2010 Ford Fusion start at $19,270 for a front-wheel drive model with a 175-horsepower 2.5-liter four-cylinder engine and six-speed manual transmission. A six-speed automatic is also available, as are all-wheel drive and a 240-horsepower 3.0-liter V6 and 263-horsepower 3.5-liter V6. Ford also offers a hybrid version of the Fusion that I reviewed in January. The top model in the line, an AWD Sport model with the 3.5-liter engine, stickers at $27,675. All prices exclude destination charges. I tested two Fusions, a nicely equipped SE with the four-cylinder engine, manual transmission and a $21,440 sticker price; and an option-laden Sport AWD with the 3.5-liter and automatic transmission that cost $30,670. Both cars represent excellent values. The SE would compete with four-cylinder midsize sedans like the Chevrolet Malibu, Honda Accord and Nissan Altima. The jaunty Sport takes on models like the Acura TSX and TL, Nissan Maxima and Subaru Legacy. The Fusion's chassis is among the best in its class, providing a comfortable ride and very good handling. Ford left those virtues unchanged, but gave the 2010 model a new trunk lid, hood, grille, headlight and taillights. The changes pay off, injecting an elegant and refined look into what had been an attractive but somewhat bland car. The interior got an even more thorough makeover. Every surface is now covered in high-quality soft-touch materials, with tastefully applied, lighter-colored accents. The hood on the Sport model I tested was poorly fitted, with a noticeably wider gap to the right fender than the left, but fit and finish were otherwise excellent in both. New features include the latest generation of the breakthrough Sync system Ford developed with Microsoft. In addition to hands-free control of mobile phones, iPods and other audio, Ford has added a voice-controlled navigation system that functions as well or better than what any luxury brand offers. The Fusion also now offers blind-spot alert and an ultrasonic rear parking assist that peeks around the corner when you back out of a parking space to warn of oncoming cross traffic. Both engines provide ample power. The six-speed manual transmission had a precise and easy motion, while the automatic was smooth and quick. Brake feel is excellent, and the steering feel, which I found heavy in the original Fusion, is considerably better in four-cylinder models. The AWD Sport has the looks, performance and features to make Audi, Lexus and Subaru nervous about the prices of their all-wheel drive sport sedans. The SE hugged curves and demonstrated again how enjoyable a well-engineered front-wheel drive four-cylinder car can be. The fuel economy with all powertrain combinations is at or near the top of its class. The 2007 Fusion was a good car; the 2010 is an unexpectedly great one. Sometimes, the second time is the charm. Contact MARK PHELAN: phelan@freepress.com or 313-222-6731. By 1983, the Mustang convertible was back. And so was the “Boss,” as Ford’s pony car steadily returned to its roots as a performance vehicle, following the gas crisis and tighter emissions standards that influenced the Mustangs of the 70s. In 1984, Ford’s Special Vehicle Operations (SVO) team created the Mustang SVO. It sported a front fascia with fog lamps, functional hood scoop and a unique dual-wing rear spoiler. A turbocharged 2.3-liter four-cylinder engine produced 175 horsepower. Also in 1984, a special V-8 powered Mustang GT was created to commemorate the 20th Anniversary of the Mustang. It was a special limited edition done in Oxford White with a Canyon Red interior. In 1985, Mustang received a 5.0-liter high output V-8 that made 210 horsepower when mated to a manual transmission. New Quadra-Shock rear suspension provided better acceleration and reduced wheel hop on fast takeoffs. Mustang’s V-8 traded its carburetor for sequential multi-port fuel injection in 1986. In 1987, the Mustang was restyled with a new “aero-look” body. The 5.0-liter V-8 produced 225 horsepower. For its 25th Anniversary, all Mustangs produced between April 17, 1989 and April 17, 1990 sported the familiar running horse on the dashboard with “25 Years” inscribed underneath. In 1990, Mustang sported a driver’s-side airbag as standard equipment. In 1991, entry-level Mustangs received an improved 105-horsepower, twin-plug 2.3-liter four-cylinder with distributorless ignition. All V-8 models came with new five-spoke 16 x 7-inch cast aluminum wheels. The stealthy Mustang LX 5.0 developed a cult following in 1992 and outsold all other models combined. Wire-style wheel covers and whitewall tires disappeared from the options list. In 1993, Ford’s new Special Vehicle Team (SVT) introduced the limited-production SVT Mustang Cobra with subtle but distinctive styling cues and performance upgrades. The low-volume 1993 Cobra R, developed to be used as a race car, sold out prior to production. Here is an FAQ on the Ford Advantage Plan. This also can be downloaded here in a pdf document. 1. Who is covered under The Ford Payment Protection Program? Only the primary purchaser/lessee responsible for the outstanding financing of the new Ford vehicle is covered under The Ford Payment Protection Program and is eligible for Benefits. Co-purchasers and co-lessees are not covered under this program. 2. What are my Benefits? The Ford Payment Protection Program will pay, on your behalf, the monthly payment (purchase: principal + interest / lease: lease fee + taxes) due on your vehicle financing up to $700 per month for up to 12 months provided you are Involuntarily Unemployed before January 1, 2010, remain Involuntarily Unemployed, and continue to submit proof of unemployment on a monthly basis. 3. When is enrollment effective? Your enrollment in The Ford Payment Protection Program becomes effective the day you purchase/lease your new vehicle. Please note, however, that there is a 30-day exclusionary period. You must become Involuntarily Unemployed after this initial 30-day exclusionary period in order to qualify for Benefits, and then you must be unemployed for at least 30 consecutive days before you can request your Benefit. In this example, the first day you are able to request a Benefit, provided you meet all other requirements, is June 1, 2009. 4. What type of Employment is covered? To qualify for The Ford Payment Protection Program you must have been working full-time for 90 consecutive days, at least 30 hours per week, before you became Involuntarily Unemployed. This program does not cover part-time (less than 30 hours per week), seasonal, self-employment or persons employed by a family household member. 5. What does it mean to become Involuntarily Unemployed? Involuntary Unemployment means that you are terminated by your employer prior to January 1, 2010, due to individual or mass layoff, strike, labor dispute or lockout. It does not include termination of employment due to: retirement, normal seasonal unemployment, resignation, voluntary forfeiture of salary, wages or employment income, scheduled termination of an employment contract, disability (as a result of sickness, illness, disease, accident, pregnancy, injury or other cause) and willful or criminal misconduct or incarceration. Also, excluded is Involuntary Unemployment which occurred, or for which you received notice of, prior to your enrollment in The Ford Payment Protection Program (i.e. the date you purchased/leased your vehicle). 6. How do I request for my Benefits to be activated? If you become Involuntarily Unemployed prior to January 1, 2010, and believe that you have met all of the necessary qualifications, call 1-888-262-9809 to request a Benefit Form. You must complete a Benefit Form and submit all required documentation within 90 days of the day you became Involuntarily Unemployed in order to be eligible for Benefits. An associate will be available to assist you Monday through Friday, between 8 a.m. and 8 p.m. EST and will provide you with specific instructions. 7. What documentation do I need to provide in order to receive Benefits? 8. Once I submit all of the required documentation, how long will it take before I know whether my request for Benefits was approved? Provided that all the documentation has been submitted, it generally takes 7-10 business days from the date we receive your documentation before an approval for Benefits will be issued. You will be contacted if any additional information is needed in order to determine whether you have met all eligibility requirements. 9. How do I know if my request for Benefits has been approved? When your Benefits have been approved, you will receive a letter advising you of your Benefit approval and the amount paid to your financing source. It is important for you to continue to make the required payments on your account until you have received notification that your Benefits have been approved in order to maintain your account current. 10. When do my Benefits begin? Once your Benefit is approved, payments are retroactive to the day you became Involuntarily Unemployed (subject to verification). Benefit payments will then continue on a monthly basis, in 30-day increments, provided you continue to submit the required documentation for each month you remain Involuntarily Unemployed, up to the program maximum of 12 months. In this scenario, a monthly benefit payment(s), retroactive to August 1, 2009 will be issued. Then, monthly Benefits will be disbursed provided you continue to submit the required documentation for each additional month you remain Involuntarily Unemployed, up to the program maximum of 12 months. If you have questions on how your Benefit payments will be applied to your financing account, please contact your finance source directly. 11. Once my Benefit is approved, will my Benefit be paid on the day that my monthly financing payment is due? No. The Benefit is paid once all required documentation has been received and reviewed, and your Benefit request has been approved. Because of this process, the Benefit payment may or may not be issued on the precise day when your monthly financing payment is due. As such, it is important that you continue to make your required monthly financing payments until your Benefit has been approved. 12. What about financing payment amounts that are above the $700 maximum monthly Benefit? The Benefit paid is the scheduled monthly purchase/lease payment established with your financing source when the finance agreement was originated, up to a maximum $700 per month Benefit. The purchaser/lessee is responsible for monthly financing payment amounts above the maximum $700 per month Benefit. 13. Will the Benefits cover any late fees I have accrued because I was not able to pay my bill on time? No. The Benefit only serves to cover your standard vehicle payment obligation and not any additional fees associated with your account. 14. How do I continue to receive my Benefits? In order for your Benefits to remain active, you must submit proof of continued Involuntary Unemployment (a copy of your State Determination Letter, Unemployment check stubs, Unemployment debit card statement(s) or Registration Card on a monthly basis along with your continuing Benefit Form. 15. If I get a job but find myself Involuntarily Unemployed again, can I request for my Benefits to be activated again? 16. If I run out of Benefits, can I reapply for Benefits? No. Once 12 monthly Benefit payments have been disbursed no additional Benefits are available. 17. If I pay off my loan because I refinanced my vehicle before January 1, 2010, but become Involuntarily Unemployed, am I still eligible to receive Benefits? 18. If I sell my vehicle, is the new owner covered under The Ford Payment Protection Program as well? No. The Benefit only covers the original purchaser/lessee of the vehicle. These Benefits are not transferable. 19. Am I paying for this program? No. This program is offered to you as a valued customer, free of charge and compliments of Ford Motor Company. 20. What do I have to do to be enrolled? Nothing. You are automatically enrolled in The Ford Payment Protection Program as of the effective date of your new vehicle purchase/lease. 21. If I don’t use The Ford Payment Protection Program, can I still get a credit for the unused amount? No. The purpose of The Ford Payment Protection Program is to assist loyal Ford customers during a time of need. The program has no credit or cash value to the customer outside the Benefits Approval process. 22. Do I have to pay the Benefit back? No. These Benefits do not need to be repaid. In 1980, the 302-cid V-8 engine was dropped and replaced by an economy-minded 119-horsepower, 255-cid V-8 derivative. The original Ford Mustang debuted on April 17, 1964 at a price of $2,368 – a bargain even at that time. Dealers were inundated with requests for the vehicle. In Garland, Texas, 15 customers bid on the same Mustang, and the winner insisted on sleeping in the car overnight to guarantee that it wouldn’t get sold from under him before his check cleared the next day. Ford expected annual sales of about 100,000 units, but 22,000 Mustang orders were taken on the first day, and sales reached an astounding 417,000 in the car’s first 12 months on the market. Not much more than a month after its introduction, Ford’s new Mustang was on the racetrack as the pace car for the 1964 Indianapolis 500 race. The early Mustangs have figured prominently in hundreds of notable films to date, beginning in 1964 with the James Bond movie Goldfinger, in which Bond’s Aston Martin DB5 chased a white Mustang convertible. Mustang sales passed the one million mark in March of 1966. The 1966 Mustang was the first – and perhaps the only – car to park on the 86th floor observation deck of New York’s Empire State Building. Ford engineers disassembled a 1966 Mustang convertible and took it up in four sections using the building’s passenger elevators. Mustang-mania hit full force. The 289-cid V-8 “Hi-Po” engine became available. Carroll Shelby adapted the Shelby GT350 for Sports Car Club of America (SCCA) competition, and the GT350 went on to win three straight SCCA national championships. A “steed for every need” philosophy yielded 11 different powertrain combinations in 1969. New models added to the lineup included hot rods like the 290 horsepower Boss 302, the 375 horsepower Boss 429 and the Mach 1, giving the Mustang its muscle car heritage. The Grande luxury model also was introduced. So what makes a Mustang a Mustang? Find out the answer to "What Makes a Mustang a Mustang?" Get your 2010 Ford Taurus Brochure Here. This is the Packaging Guide that Ford provided us. See the latest 2010 Taurus Dealer Ordering Guide for availability and feature restrictions. For up-to-date Ordering Guide info visit our showroom. Get your 2010 Ford Mustang Brochure Here. This is the Packaging Guide that Ford provided us. See the latest 2010 Mustang Dealer Ordering Guide for availability and feature restrictions. Students push Hope, a 1951 Ford Sedan Custom housed at Roseville Junior High during construction at the high school. The car, which will appear at Autorama this weekend, was headed for touch-up paint work. When Mark O'Brien, president of Roy O'Brien Ford of St. Clair Shores, forked over $6,000 last year for a 1951 Ford Coupe Sedan he intended to serve as his teenage son's first car, he figured it would take another $10,000 to get it into driveable condition. But thanks to the Hot Rod High auto tech students at Roseville High School, seven months and nearly $150,000 later, O'Brien instead got himself an award-winning hot rod making the rounds on the custom car show circuit. This weekend, the car, which the Roseville students dubbed Hope, will be featured in the 57th annual Detroit Autorama at Cobo Center. "I never thought the car would end up like this," O'Brien said. "Our nice dark blue grandma car bought to be a daily driver was turned into a $150,000 trailer queen. These kids did an amazing job." When the students in the vocational program first saw the car in May 2008, many were less than thrilled. It was, as some of the teens recalled, an "ugly, ugly blue." And it was covered in a good deal of rust. Then there was the black gunk that coated the bottom of the vehicle. "We spent a while scraping off that junk. It was awful," said Douglas Welch, a junior in the auto technology class. "It would get all over your clothes and in your mouth. You'd smell like it for the rest of the day." Originally the class -- led by the father-son teaching team of Paul Tregembo Jr. and Paul Tregembo Sr. -- was merely supposed to install a new engine in the '51 and make a few minor adjustments. It was nothing that the program's 155 students weren't used to doing. But then they got ambitious. Students first asked O'Brien whether they could modify the '51's head and taillights. After a little guidance from their teachers (who are known simply as Junior and Senior by their students) the students asked to chop the top. Seven months later, the clunker that many students avoided back in May was again keeping them at bay. This time, the kids found themselves keeping their distance from the '51 for fear of scratching its custom pearl white paint job. "The rule was, if you were working on the '51, you had to take off anything that could scratch it -- jackets, because of their zippers and buttons, belt buckles, jewelry. A lot of the underclassmen were kind of afraid to go near it," said Eric Jozwiak, a junior in the program. "The last thing we wanted was for that car to get nicked up. We put so much time and effort into it. It's hard to believe we accomplished everything we did," added Jozwiak, who worked on the car's frame and brake lines. And the team did it with a fairly aggressive timetable. The students -- many of whom volunteered over summer and winter break -- accomplished in less than a year what can take professionals two to three. They chopped the car's top (lowering it 4 inches), redid its front end, customized and rebuilt its frame, rebuilt the engine and installed an air ride suspension. "There were a lot of people who doubted these kids could get it done, but they proved everyone wrong," O'Brien said. 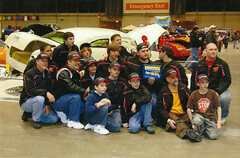 And at Chicago's World of Wheels hot rod show in January, Hot Rod High was rewarded for its work. Hope landed the students several honors, including Best in Class for the Radically Modified Hardtop Division and Outstanding Custom of the Show, among others. It was also named to the show's Top 20 among the approximately 450 cars there. "Taking home all those awards was awesome," said junior Nic Dragna. "It just proved that when we work together, we can accomplish anything. And it gave us hope that we can amount to something, which is kind of where the car's name came from." Since returning home, the students have been refining Hope in an effort to accommodate the more stringent judging process of Autorama. Seemingly minor details can have a big effect on judges who, because of the high level of many of the cars at the show, are forced to nitpick to distinguish the award winners. The Hot Rod High crew isn't chancing anything. They redid the garnish molding in the back of the car's interior, modified the aluminum splash panels in the engine compartment and had the door panels redone. And the students also made sure to remove the barcode SKU stickers from the '51's brake line that may have cost them a few points in Chicago. After making the rounds at car shows, O'Brien, who put nearly $150,000 into the car (not taking into account labor, which the students provide for no cost), plans to show the pearl-white hot rod in his dealership. Hope, which will be the 86th car Senior has entered on behalf of his students in Autorama since 1973, will be one of three cars Hot Rod High will be showing among nearly 1,000 hot rods featured at the show. Article from Detroit Free Press, March 5, 2009. Senior Mike Weisenbaugh stands under Hope in the Vocational Auto Technology area. The car has a custom exhaust system. Roseville High students Eric Jozwiak (seated) and Kyle Cook work on bleeding a brake line as Cory Minch lends his hand. Roseville student Trammell Anderson polishes a 1966 Mercury Comet Cyclone GT named Tiffany, also to be shown at Autorama. 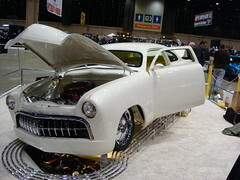 Hope, a 1951 Ford Sedan Custom, has a rebuilt engine and many plated and polished components. About $150,000 went into the car, not taking into account labor, which students provided free. Roseville High School students, from left, Gerrad Marquardt, Don Griebe and Mike Weisenbaugh polish a 1966 Mercury Comet Cyclone GT named Tiffany. It is among three cars the students will show at Autorama. Chicago, Feb. 11, 2009 – One of America’s favorite “sleeper” performance cars returns to the Ford lineup, powered by a Super High Output (SHO) EcoBoost twin turbocharged engine. The Taurus SHO joins Ford’s growing lineup of performance vehicles for the 2010 model year, building on the legacy of the original, which earned a spot on the Car and Driver 10 Best list four years running. The foundation of the new 2010 Taurus SHO is a 3.5-liter twin-turbocharged EcoBoost V-6 engine. This advanced powerplant generates an estimated 365 horsepower at 5,500 rpm and 350 ft.-lbs. of torque at 3,500 rpm, resulting in significantly improved power, torque and fuel economy compared with larger, normally aspirated engines. This also is Ford’s most powerful EcoBoost engine. A key feature of this EcoBoost engine is gasoline direct injection. The direct injection of fuel into the cylinder during the intake stroke, as opposed to port-style injection to an externally mounted intake, produces a well-mixed air-fuel charge. Fuel vaporization during the intake stroke cools the incoming air, improving volumetric efficiency and lowers the likelihood of knock. The results are improved throttle response, reduced cold start emissions characteristics and improved fuel economy. The cooled charge enables an increased compression ratio, improving efficiency at partial load, while the higher compression ratio allows for better volumetric efficiency under full load engine behavior. Customers will experience normally aspirated V-8 power, without compromising V-6 fuel economy. 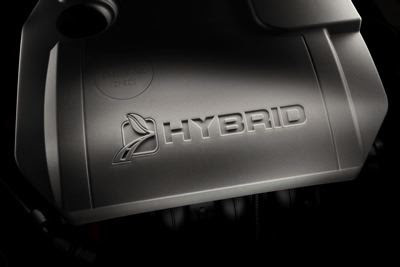 The 3.5-liter EcoBoost V-6 also uses twin turbochargers, as opposed to a single unit. The reduced size of each turbocharger results in reduced internal inertia, allowing this advanced engine to avoid the “turbo lag” often prevalent in earlier-generation turbocharged applications. From the driver’s seat, the rewarding result is linear power delivery across a broad torque band from 1,500 through 5,500 rpm. Peak torque building quickly off idle ensures responsive acceleration from a standing start. SelectShift provides conventional automatic operation or a manual shift mode that gives the driver complete control over gear selection. For performance-minded drivers, paddle controls allow “match-rev” downshifts and will hold manually selected gears for precise control. Intuitively operated, a squeeze on either paddle will deliver an economical upshift under acceleration, while a gentle push forward brings a smooth downshift, synchronizing the engine and transmission speeds for responsive and positive engagement. The Taurus SHO driveline is contemporized with the incorporation of a sophisticated All-Wheel Drive System that engages automatically and unobtrusively. The unit contains an advanced array of internal electromechanical clutches to efficiently distribute torque to the wheels with optimum traction. Standard all-wheel drive allows the Taurus SHO to efficiently deliver its high performance to the pavement under a wide variety of conditions. Taurus SHO features an advanced electronic power-assisted steering (EPAS) system, providing responsive road feel and enhanced on-center balance while offering the additional benefit of increased fuel economy. SHO also features a sport-tuned suspension with unique shock absorbers, springs, stabilizer bars and strut mount bushings specifically developed and harmonized to deliver the highest level of Ford DNA road holding, cornering agility and steering responsiveness available in a Blue Oval full-size sedan. Taurus SHO takes full advantage of the multi-link SR1 rear suspension design. Named for the 1:1 shock absorber ratio, this configuration provides an inherently stable baseline for the SHO development team to fine tune for enhanced driver control and agility. In addition, the SR1 rear suspension geometry provides increased travel, while enabling the use of 19- and 20-inch wheels and tires. a “Sport Mode” setting for the standard AdvanceTrac® Electronic Stability Control and a shorter 3.16 to 1 final drive ratio for faster acceleration. Summer-compound 20-inch Goodyear Eagle F1 performance tires on premium painted wheels also are included. A key element of the authentic SHO formula is the subtlety of its unique exterior design cues. Features include sporty premium painted wheels, wrapped in standard low-profile 19-inch Goodyear Eagle or optional 20-inch Michelin high-performance tires, a decklid-mounted spoiler and twin chrome exhaust tips. SHO also features a uniquely finished interpretation of the Ford signature three-bar grille with SHO-specific parking lamp bezels. The 2010 SHO is available in a wide range of new Taurus colors including Atlantis Green Metallic, a unique SHO color inspired by the iconic Deep Emerald Green hue appearing in 1991. The new Taurus SHO interior encourages performance driving. Leather-trimmed seats with Miko Suede inserts, made from recycled post-consumer yarns from plastic soft drink bottles, are comfortable and luxurious. A perforated leather-wrapped steering wheel puts the driver in smooth touch with the road. Front seats are 10-way power adjustable. SHO accelerator and brake pedals are trimmed in aluminum. The console, instrument and door panels feature SHO-specific authentic aluminum appliqués. SHO branding appears on the unique floor mats, and on the passenger side of the instrument panel. Intelligent Access with Push Button Start, a new Taurus feature allowing drivers to enter the car and start the engine without using a conventional key. Drivers simply carry the fob as they approach the vehicle, touch the SecuriCode™ keyless entry keypad, open the door and enter, apply pressure on brake pedal and push a button to start the engine. MyKey allows enthusiasts to activate a restricted driving mode, persistent Belt-Minder® safety belt reminder, audio system volume limits, an earlier low-fuel warning, and consistently-engaged AdvanceTrac® stability control. The top vehicle speed can be limited to 80 mph, and speed chimes can be programmed to engage at 45, 55 or 65 mph further protecting their investment. Easy Fuel™ Capless Fuel Filler System, a unique feature that eliminates the need for a traditional fuel cap. Easy Fuel is a hassle-free solution that provides a consistent self-seal after every refueling. Ford SYNC® is the fully integrated, in-vehicle voice-activated communications and entertainment system standard on Taurus SHO. The system combines 911 Assist, Vehicle Health Report and GPS-based features including business search and call completion. SYNC connects to MP3 players, iPods, memory sticks and PDAs. The latest version of SYNC in the Taurus SHO adds Traffic, Directions and Information, providing turn-by-turn route guidance and the capability to access and personalize content. Ambient Lighting allows the Taurus SHO driver to program interior lighting from a choice of five soothing colors to suit any character or preference. Blind Spot Information System (BLIS™) with Cross Traffic Alert consists of two multiple beam radar modules, one each per rear quarter panel. When an adjacent vehicle enters the defined blind spot zone, and indicator alert provides driver warning in the corresponding sideview mirror. Multi-Contour Seats with Active Motion™ can be specified in conjunction with heated and cooled first-row positions in the new Taurus SHO. Multi-Contour functionality provides subtle but continuous massage to help prevent back pain and fatigue and is ideally suited to meet the needs of long-distance drivers. Sony Audio System offers 12 speakers, a digital amplifier, 390 Watts of continuous power (RMS), 115 dB of maximum bass sound pressure level and Dolby® Pro Logic® II surround technology. The 2010 Taurus SHO will be built at Ford’s Chicago (Ill.) assembly plant and will be available in dealerships this summer, starting at a base price of $37,995, including destination. Our first foray into the world of hot rods and show cars met with great success! We won "Best in Class" for our division, which was "Radically Modified Hardtop," "Outstanding Custom of the Show," "Master Builders Award," and "Top High School Class Overall" at the World of Wheels Competition in Chicago January 23-25th. The greatest joy in sponsoring this high school effort was witnessing the sheer excitement and sense of accomplishment among the students and their teachers in building a real winner of a car in our 1951 Ford. I trust you'll share in our excitement and feel positive in that many of these young aspiring men and women will some day be our co-workers at Roy O'Brien, Inc. - Mark O'Brien in a letter to the employees of Roy O'Brien, Inc. The photos from the Chicago show as well as photos showing the complete redesign will be available here at our Flickr account. Project Leaders: Paul Tregembo Jr. & Paul Tregembo Sr.
Chrome Work: Dynamic Metal Finishing, Inc.
Glass: B+M auto Glass, Inc.
Ford Racing Parts: Diversified Products Marketing, Inc.
AND A HEART-FELT SPECIAL THANKS TO THE IMAGINATIVE, INSPIRED AND ABLE ROSEVILLE HIGH SCHOOL AUTO SHOP STUDENTS WHO, INDEED, GAVE US ALL......H O P E !